WordPress began as a basic open source tool. However, it has evolved over the years into a high-end blogging platform and content management system. In fact, the possibilities delivered by Wordpress are endless. Companies, which provide WordPress developing services build websites, which have an easy platform to work. These companies are not tasked with providing content. Usually, content is up the website owner. In fact, the main purpose of the platform is to offer you an opportunity to express ideas. It is your role to add content that is informative and engaging. This will make you be coming back for more. You need to provide grammatically content, which is relevant to the time. Therefore, quality needs to be impeccable and one with long-lasting appeal. If you do not plan to modify content, you should ask the web design company to build your site using CSS or HTML. This is because these tend to load fast even on slow connections. Moreover, they are secure and stable. If you plan to edit your content a lot, you should request your WordPress designer to use MySQL or PHP. Professional web developers will develop a website for you with responsive design. However, small freelancers or companies do omit this fact. Therefore, you need to ensure your website is designed and developed in a manner that works on any device or operating system. You should note that users react negatively when they cannot access content and information on their mobile phones or tablets. Therefore, you need to emphasize the need for responsive design. It is important to note that WordPress is more of sharing ideas. Usually, when users share ideas, there is a possibility of disagreements that arise, and they can get out of control. Therefore, you need to moderate posts and comments. Moreover, you need to keep your site clean as much as you can. Failure to do this from the start, you will find your website full of negative comments and spam. In fact, it is quite difficult to fix it. If you find negative attitudes or spam in the comments, you are likely to lose visitors as they move towards moderated websites or blogs. A lot of webmasters use WordPress to build websites because it is quite easy to do. Unfortunately, this platform is vulnerable to spam and hacking just like other platforms out there. 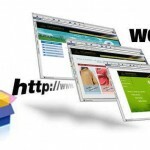 Therefore, you should hire a reputable web design company. Have you ever realized it? Visitors to your website could find your website design rather irritating? To make sure return visitors and a site that is popular, evaluate their pet peeves and grouches and identify to exclude them from your site design. Now, that is what one will call an exasperatingly annoying site design. While, it is fantastic to have an attractive header, why would one want to attack a visitor’s mind with an annoying ‘flash, flash’! After all, a great website design is implied to convey the website’s message by reflecting the website’s subject. It is not for showcasing the programmer’s ability level. If, you have some of the following as a part of your website design, you can be sure that visitors to your site will find it bothersome. 1. Background music – it is just for internet radio or a site that sells CDs. 2. Big font style – the kind that screams at you. Keep in mind that nobody likes being yelled at. 3. Small typeface size – the precise reverse of being shouted at i.e. big font size. If, you wish to be heard, a normal tone at a reasonable volume is needed. 4. Layers that overlap are ‘too much in your face’ message screaming. Subtle persuasion is far better than employing sheer ‘strength’. 5. Popup windows – even while add tools block these, particular site designs continue to utilize them. Why not put your important messages in a main part of your design, as opposed to attempting to get them throughout with the help of irritating pop-ups. Naturally, there are numerous other annoying aspects that offend individually, and most likely each one of us has our personal top five lists, apart from the above highlighted ones. It’s all a matter of taste! Don’t put all that effort into your site design, it could end up that visitors to your site will hate the additionals. That is why, it is important to choose a reputed design company when you wish to set up a site. There are many of them out there, but you can get quality for less by going off-shore and plunking on a site design company. Site design companies have been in the business far too long not to have found some of the pitfalls of too many extras! They can be trusted to bring in minimalism in their website designs. You could do far worse than ask a website design company to develop a site for you!